Dierks Bentley Saw Something Behind Peyton Manning in This Photo. Do You? Look closely at this photo of Peyton Manning. 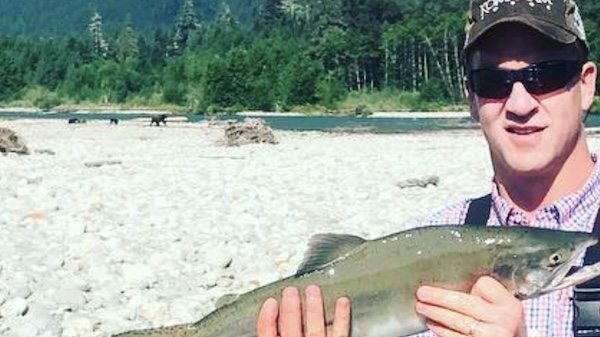 Yes, it’s cool that he’s fishing—in an awesome stream between mountains. And that he caught a nice-looking salmon. But that’s not what we’re talking about. There’s something else in the picture. Country music star Dierks Bentley saw it when the two were fishing a few days ago, and he took to Instagram to point it out. See it, rather, them, now? Yep, that’s a mother bear and her three cubs. And they’re not too far away from the retired NFL superstar quarterback. Especially when he’s holding what most bears consider might fine eating. Or maybe the bears were just looking for an autograph. 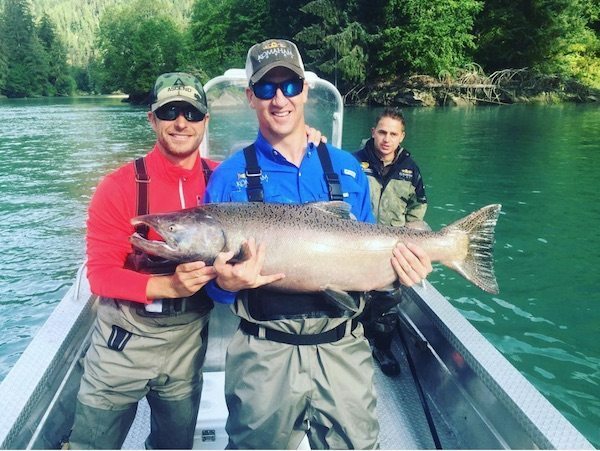 It’s not too often you see Peyton Manning and Dierks Bentley fishing together, right?